Dell EMC is pleased to be named a leader in the first-ever Gartner Magic Quadrant (MQ) for Hyper-converged Infrastructure. Dell EMC and VMware represented Dell Technologies in the leaders quadrant, which also included industry pioneer and Dell EMC partner Nutanix. This is the 15thMagic Quadrant leaders position for Dell Technologies overall, and we believe yet another validation of the value Dell EMC uniquely brings to bear with our broad portfolio of products and services. Dell EMC is recognized for both vision and ability to execute. VxRail, which we feel that in just 2 years has become a leading offering and is the product in the Dell EMC portfolio that best exemplifies the MQ rating, attained 4.25 out of 5 product scores in the accompanying Gartner Critical Capabilities for Hyperconverged Infrastructure report for consolidated use cases. In addition, VxRail received the highest scores for two use cases which we believe are critical to IT Transformation – Business Critical Apps (4.26 out of 5) and Cloud (4.19 out of 5) use cases in the same Critical Capabilities report . We acknowledge there are multiple paths to hyperconverged infrastructure (HCI) and this is one of the key reasons why we feel that we have the most expansive portfolio on the market, spanning nodes, appliances, and rack-scale systems. Dell EMC is at the forefront of innovation, as exemplified by the latest Dell EMC HCI appliances based on Dell EMC PowerEdge 14th generation serverswhich combine the simplicity, agility and scalability of HCI appliances with the power and flexibility of next generation servers, designed and optimized for HCI. 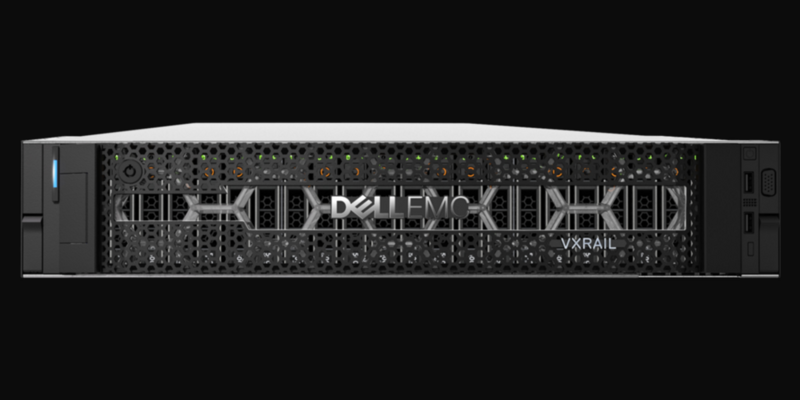 Based the latest CPUs in the Intel® Xeon® Scalable Processor series, these systems span both the Dell EMC VxRail Appliances for VMware environments as well as the Dell EMC XC Series for Nutanix-based deployments. Pre-integrated systems engineered by Dell EMC take the weight associated with constructing a working environment off the shoulders of the internal IT organization in favor of the IT vendor responsible for all the components that make up that system, including the software-defined storage (SDS) elements. Every company is at a different point in their IT journey, and therefore there is no such thing as a one-size-fits-all solution. The good news is that Dell EMC has the breadth and depth to help IT organizations large and small drive IT and digital transformation no matter where they might be today or in the future. To learn why Dell EMC is named a leader in the first-ever Gartner Magic Quadrant (MQ) for Hyper-converged Infrastructure, download the new Gartner Magic Quadrant for Hyperconverged Infrastructure and the companion Critical Capabilities for Hyperconverged Infrastructure reports.